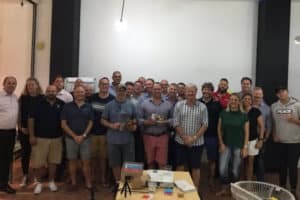 On March 1, 2019 we welcomed three greatly experienced coaches to Centaurs Singapore to lead our first Coach-the-Coaches of the year. These Coach-the-Coaches session invites are extended to our head, pro and parent coaches. Russell (Rusty) Earnshaw, John (Fletch) Fletcher, and Juan Mendia Gonzalez are former-England youth rugby coaches who now make up The Magic Academy & Sudamerica Coaching, UK-based organisations dedicated to sharing their wisdom and experience working with young athletes in their “make-it-or-break-it” years. 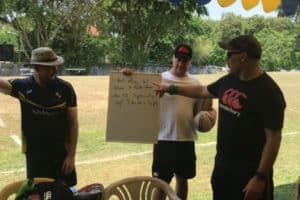 This extended coach-the-coaches session with Rusty, Fletch & Juan involved a presentation on Friday night and a practical session on Sunday morning. 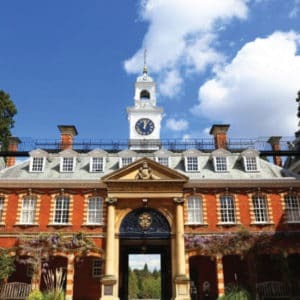 The content covered working with children (a little youth psychology), do’s and don’t’s, tips and tricks and, of course, a Q&A forum. Around 30 Centaurs coaches attended the Friday and Sunday sessions – which showed great dedication from our coaches who were also at training on Saturday in between! Friday night was held at the Hollandse Club’s Tennis Pavilion. Russell, Fletch & Juan began with an introduction to the three coaches and immediately it was apparent that we were going to learn a LOT tonight. While their credentials were astounding, I was surprised to hear their continued involvement in kids’ community clubs (like our own!). The presentation was a very interesting experience that not just myself but all the Centaurs coaches. The session itself was very inclusive and personal – conversations were insightful and Juan, Russell or John related to personal experiences where they could. 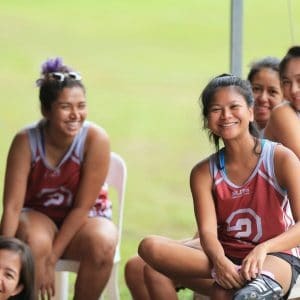 They shared their practices and methods for getting more out of the players – using “super power bibs”, for example, which is an awesome idea I’m going to use in my own coaching! You could just see on the Centaurs coaches’ faces that moment of, “I wish I’d known this earlier!”. A highlight of the night for me were the “Coach Challenge Cards”, which presented each Coach with a challenge to address, like “focus on non-verbal communication” or “share a coaching mistake with your players”. We discussed as a group the value of these cards – a few of our coaches bought these card packs on the night, and it’ll be great to see how they use them in practice. Juan & Fletch talked about the their coaching principles, how failure is okay and beneficial towards development. Something I personally found interesting was the point of allowing children to try every rugby position and to not set them into one position from a young age. They shared so many success stories for player development through this experiment, and is something I would have never thought of. I know many other coaches really took up on this and agreed. Overall, the Friday night presentation was a fantastic experience and was very informative, interactive and… FUN! Which we know as coaches is the most important! Sunday’s session consisted of practical coaching and putting Friday’s advice into action – so to Centaurs pitches we went. 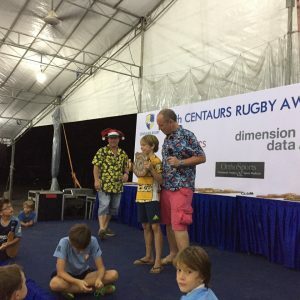 The Centaurs coaches were split into two teams and played some contactless rugby, playing the various games and incorporating constraints and superpowers (i.e. game rules) discussed on Friday. The point was to work in teams, figuring out what rules the other teams were playing to, and then using that information to your own team’s advantage. Watching, assessing and communicating was key. 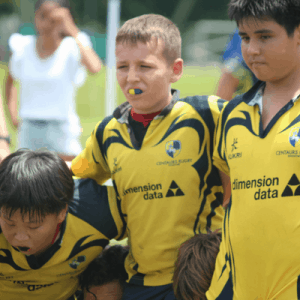 It became apparent to our coaches that this was how we can better develop kids’ skills in rugby game situations – we need to encourage the the kids to look up, see the defence/attack line, identify space for a kick, etc. There were regular breaks, where the coaches reflected, evaluated and created further discussion on the games. Friday was very informative, although really putting what has been taught into action and showing it in person on Sunday was a great idea. Sunday gave us clarity on how we can set up future coaching sessions, no matter the age group. 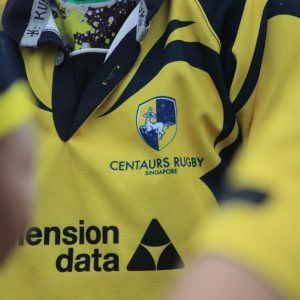 I want to say a big thank you to John, Juan and Russell on behalf of Centaurs Singapore and all the coaches! We had a great weekend and took some great tips away that will help to develop not just our kids playing but the future of Centaurs coaching and our principles! 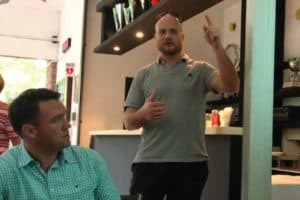 Thanks to Coach Angus for sharing his thoughts and this report on the Coach-the-Coaches session.